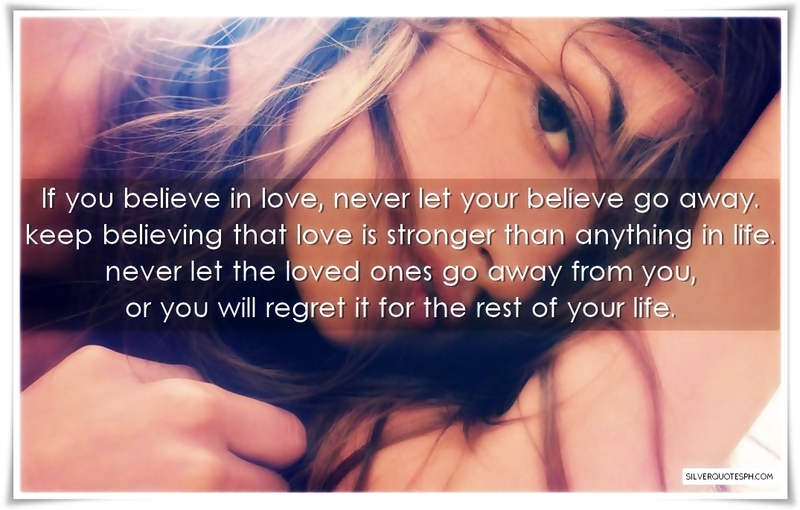 If you believe in love, never let your believe go away. keep believing that love is stronger than anything in life. never let the loved ones go away from you, or you will regret it for the rest of your life.